William David Sloan was born March 12, 1879 in the 1144 Georgia Militia District, the “Rays Mill District.” He was one of 11 children born to Martha Susan Gordon and James Murray Sloan. 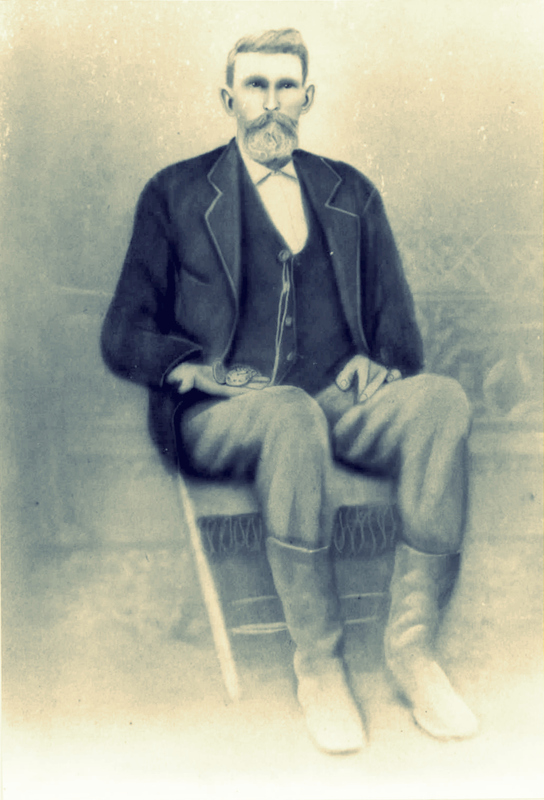 William David Sloan’s parents came from North Carolina. 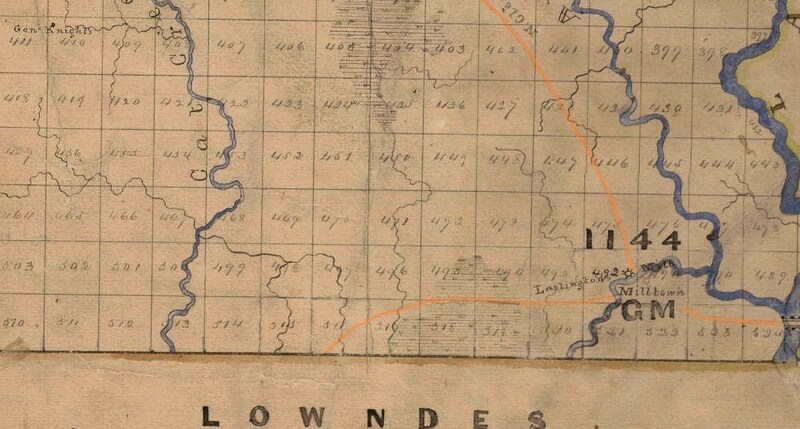 His father moved the family from North Carolina to Mississippi for a brief stay, then to Echols Co., Ga.; thence to Berrien County, GA in 1871 where he engaged in farming. 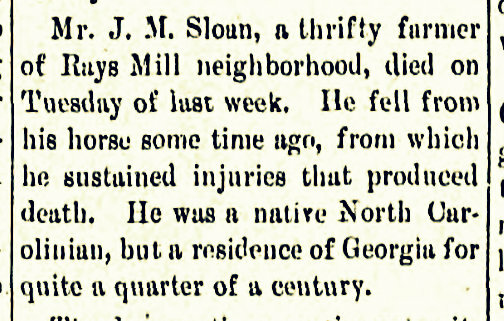 His father, James M. Sloan, a son of David and Diadema Sloan, was born January 18, 1833 in Duplin County, N.C., and died November 20, 1894. In 1897, W. D. Sloan went with Lane Young to Thomasville, GA to study at Stanley’s Business College. The census of 1900 shows 21-year-old William back in the Rays Mill District living in the household of his widowed mother . She owned the family farm, free and clear of mortgage, which she worked on her own account, with the assistance of farm laborer Charlie Weaver. 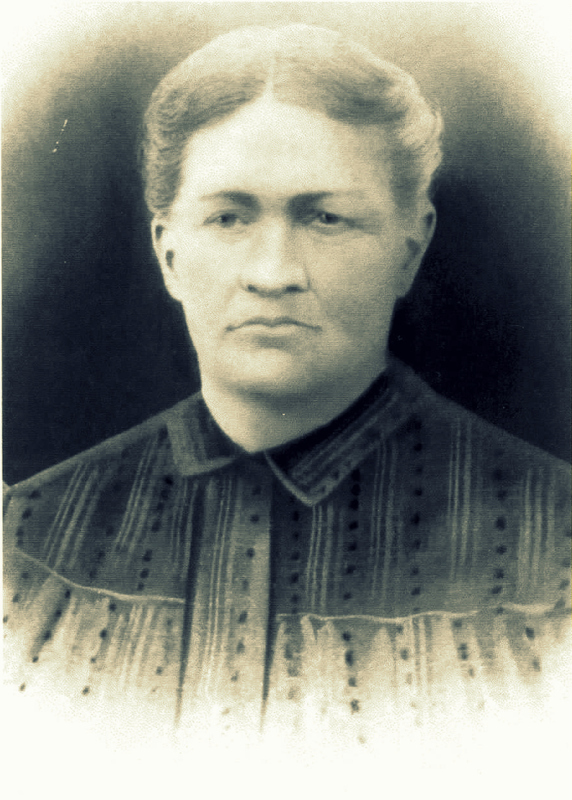 William’s mother, Mrs. Martha Susannah Gordon Sloan, died Oct. 25, 1908. 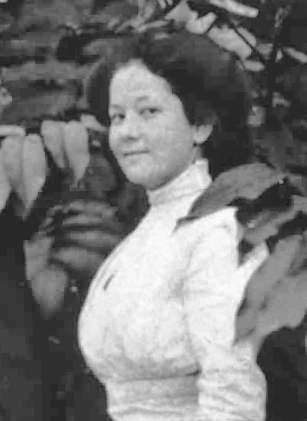 Julia Elizabeth Knight Ridgell (photo circa 1910), widow of David Rigell, married Dr. William Sloan. In 1907 William received a scholarship from the Governor. 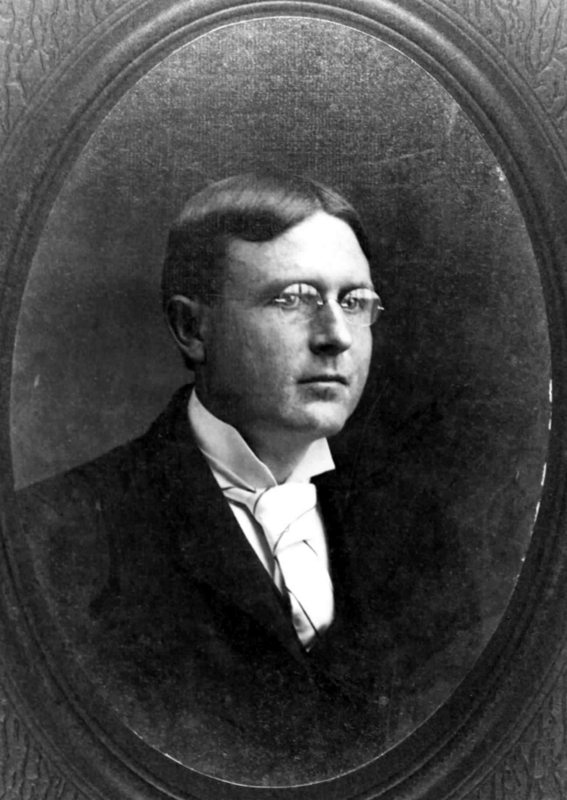 The August 28, 1907 issue of the Atlanta Constitution noted that W. D. Sloan, of Milltown, had been appointed by the governor to receive a scholarship at the Medical College of Georgia. He moved to Augusta, GA where he studied medicine at the University of Georgia’s Medical Department, now known as Georgia Regents University. 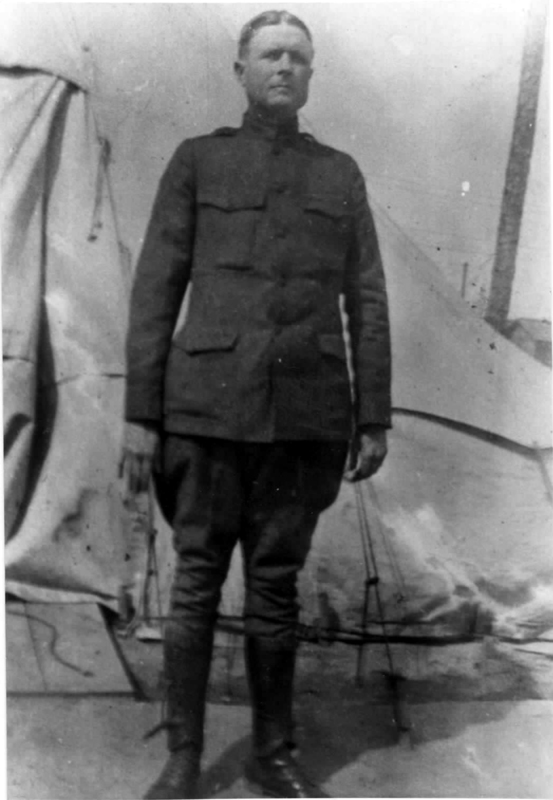 He graduated from UGA with a medical degree in 1910 and went into general practice, working on his own account. 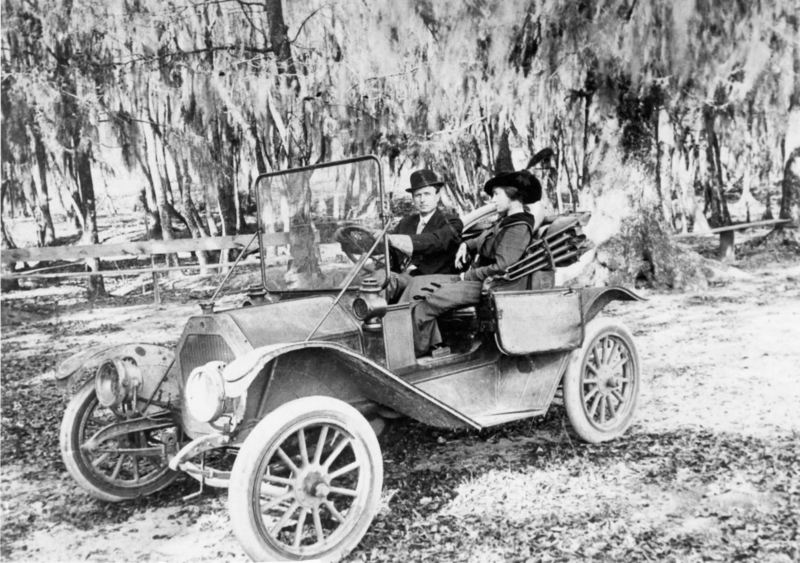 At the time he was boarding in the household of Charles Conner, of Watkins Street, Augusta, GA.
William David Sloan returned to Berrien County, GA and sometime after 1911 married Julia Elizabeth Knight Rigell. She was the widow of David Rigell, an early merchant of Rays Mill, GA. She was born August 9, 1880, a daughter of Walter Knight and Jimmie Gullette. 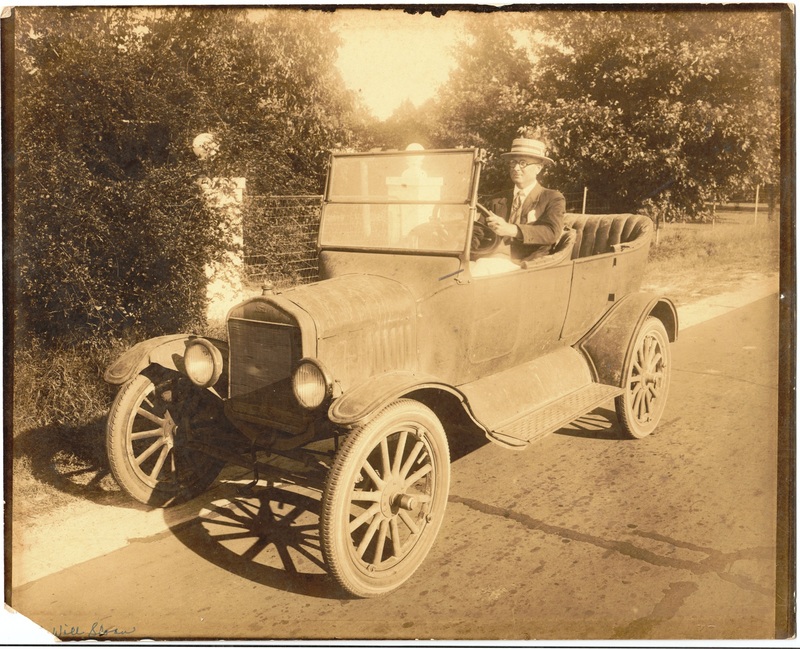 William David Sloan enlisted in the Army Medical Service in 1917, and served during World War I.
Dr. William David Sloan and his automobile. Dr. Sloan was born and raised in the Rays Mill, GA vicinity. 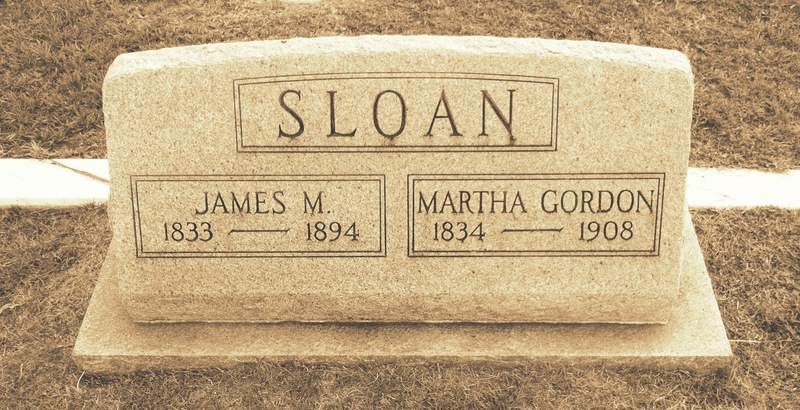 In his later years Dr. Sloan suffered from kidney and heart disease. The Journal of the American Medical Association, March 2, 1935 issue reported the obituary of William David Sloan. chronic nephritis and heart disease. He was buried at Wayfare Primitive Baptist Church Cemetery, in Echols County, Georgia. 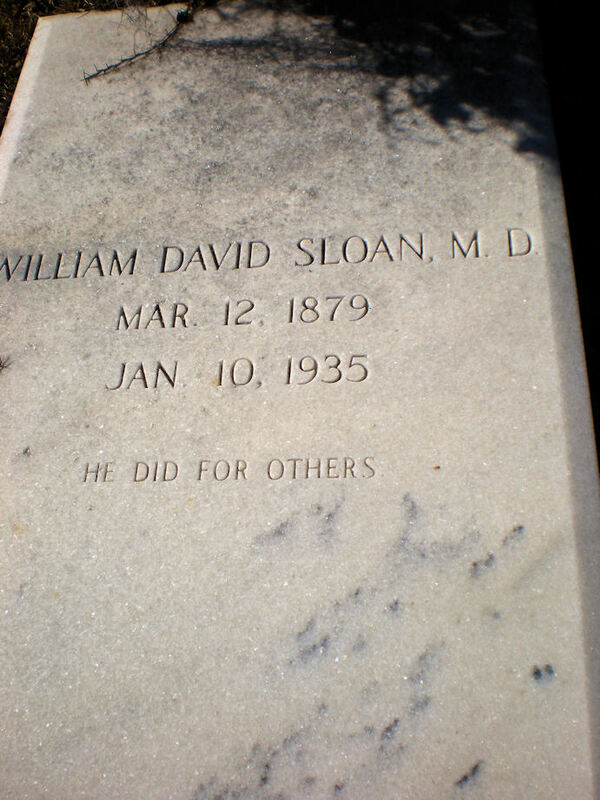 Grave of William David Sloan, M.D. 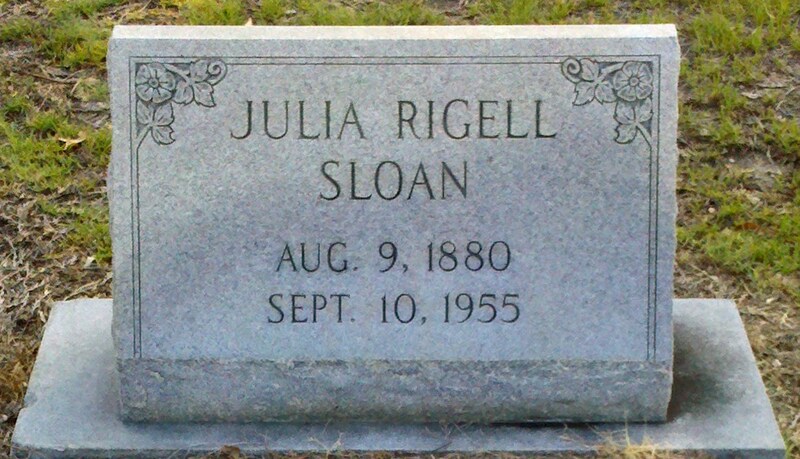 (1879-1935), Wayfare Primitive Baptist Church Cemetery, Echols County, GA.
Julia Rigell Sloan died September 10, 1955. She was buried at the City Cemetery in Lakeland, GA next to the grave of her infant daughter, born February 3, 1907.